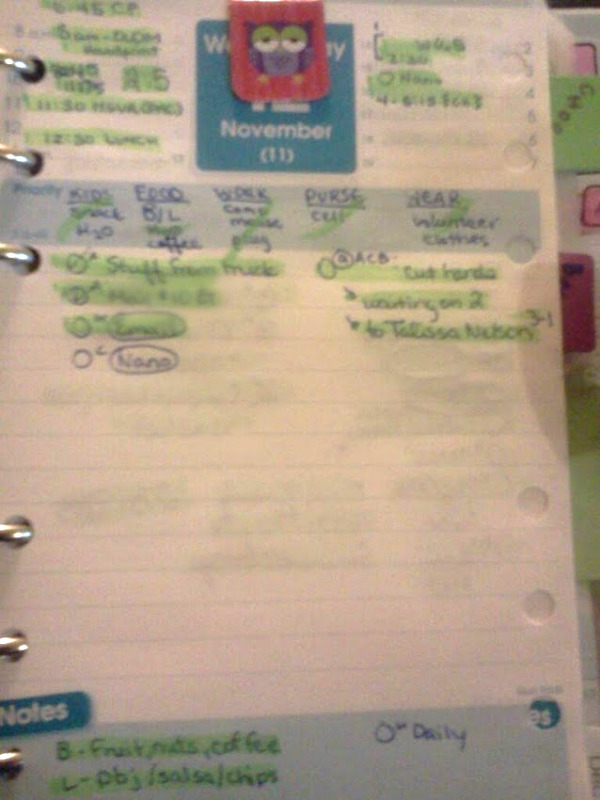 Newsflash: plannerds tend to over plan. Over planning is much more common among my readers. It makes sense. Once you realize that writing things down helps you remember things and make better decisions about how to spend your time, the urge is to write everything down. I don't have a problem with that. My philosophy is to write as much or as little as works for you. But my philosophy for actual planning of your day is different. The goal is balance between your actual schedule and your task list. For example, today was really busy, schedule wise, so I keep the task list short. Tomorrow is a much more flexible day, with a pretty empty schedule, so you'll see things like working 5 hours or other time-consuming tasks on my much longer task list. Humans can only do so much in a given day. Remember that when you make your daily plan. TIP: Each item should only go on your task list OR your schedule - not both -so that you can realistically judge the volume of items on your list. Agreed! If your day is busy with scheduled appointments, there's not going to be much time to get things done. If your day is empty or not as full, you need to write more down or you might end up wasting time. AT least that's what I do! It's important to strike the right balance. When I was working, the majority of my day was taken up by scheduled tasks (usually endless rounds of meetings) that I hardly found time to do "actual" tasks. 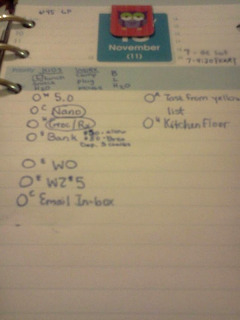 Now that I've stopped working, I try to fill my days by doing realistic and workable tasks. Things I can achieve and I don't worry so much if I don't actually complete a task that is not time-sensitive. I'll just revisit the next day.